A woody oriental to remember. The ‘middle-eastern’ sector of the fragrance sphere is mysterious and often as poetic as the ‘One-Thousand and One Nights’ tales. It is only appropriate then that many fragrances houses (at least once) draw inspiration from the exotica and hence, the mystique and the ethos of certain cultures, among the hidden, unappreciated exotics that are somewhat surreptitious to the masses and entirely novel to the senses. 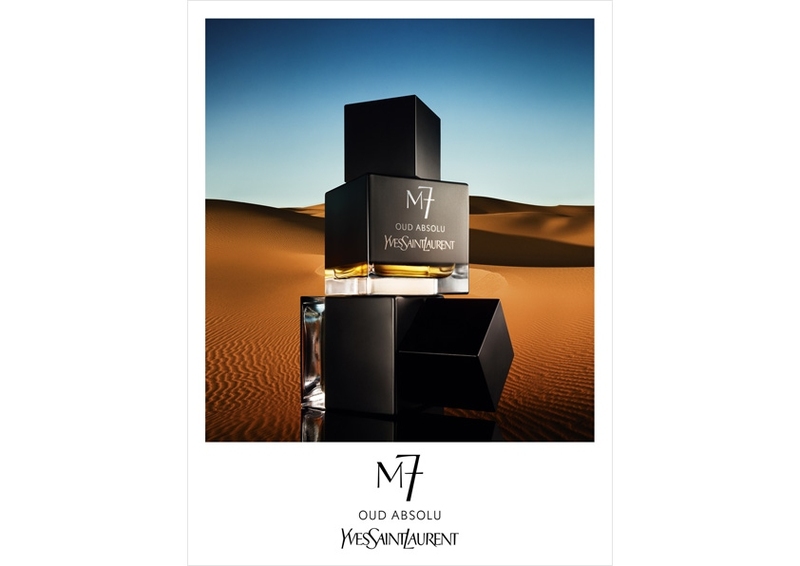 In that respect, M7 Oud Absolu is a wonderful fragrance that is light and friendly with the gloriousness of Oud, Myrrh, Ciste Labdanum and more heavy incense notes regurgitated for a western audience and stereotypically a conservative clientele. M7 Oud Absolu is a fragrance that reminds me of the resulting fusion from ‘East meets West’ relations that occur purely due to luck; when you combine opposites and you reach something unexpected- and more importantly something unexpectedly good. For me, M7 Oud Absolu was the breakthrough fragrance into the world of oud, only leading me on to appreciate the delights of Royal Oud (Creed), Interlude (Amouage), Oud Wood and Noir de Noir (Tom Ford). The opening is the peel and juice of mandarin combined with myrrh and oud in the background. The oud and incense notes present an almost (expected) medicinal quality that isn’t bad… not at all… but it’s certainly unique and interesting when considering my collection of fragrances. Put bluntly, it is a contrapuntal note I now (in retrospect) can expect from the stickiness and sacrosanct reverence of bois de oud. The first ten or so minutes of this fragrance starts very harsh with the twang of mandarin; ripe, verdant and very sweet with an undeniable heaviness too it, carried along with the myrrh. This creates something very mineral-esque and a touch synthetic. At this stage the fragrance is incredibly balmy and the combination of these two notes combine to recreate a fictional vanillin note; something sweet and cake dough-ish- It must be the sweet patchouli in the mix. Things only get better in the drydown with the usual occurring. The sweetness shifts down a few notches whilst the woods come into play, something true to the woody oriental nature of some fragrances (blame the labdanum). Mandarin becomes merely a whisper, but still present throughout, only accentuating the beautiful musty smokiness of the oud and the leather-amber tinges of labdanum. 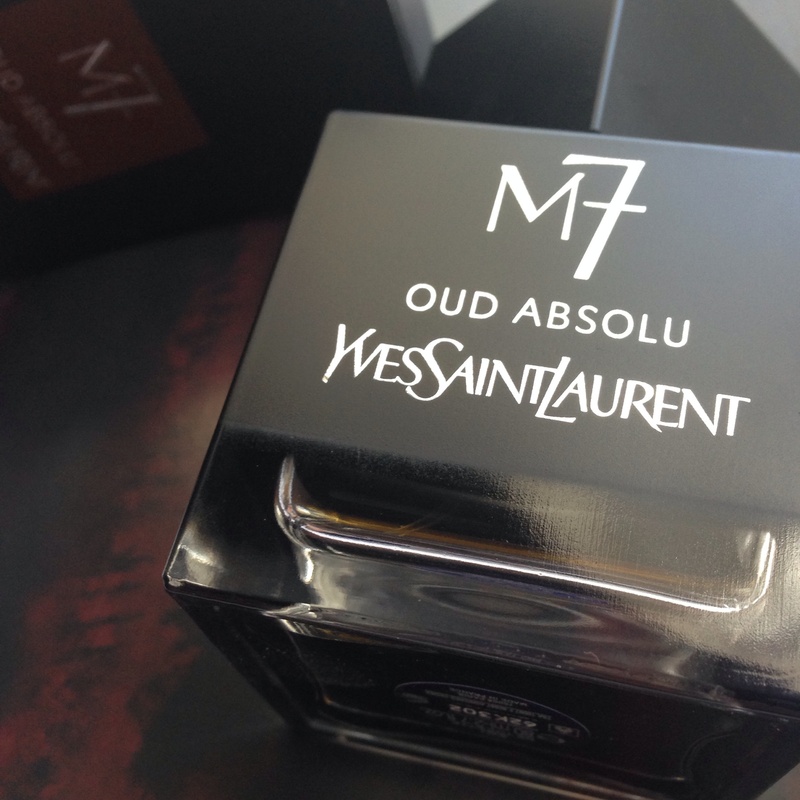 M7 Oud Absolu takes oud on a level that doesn’t perpetuate the sometimes irritable rotting character, but alters it with a decent mix of sweetness and common florals. Albeit, this juice contains the perfect equilibrium between an interesting roughness, expected of eastern fragrances (Interlude by Amouage is a good example of the smack your face ideal) and malty smoothness and sweet honey-like accords. What you get is a fusion opening of barely restrained ‘oomph’ and a fusion dry down of sensual campfire woods and easily likeable florals (which you wouldn’t pick up on unless told about). However, I wouldn’t call this fragrance “Oud Absolu”, and whilst it is virtually omnipresent throughout the life of wear, it merely remains the backbone in the composition. Certainly this fragrance is enjoyable from beginning to end, but I don’t think it warrants the name. In light of this, Myrrh Absolu may have been a more appropriate name. I also feel, in terms of wearability that this is a little bit ‘too’ out there to make this a fragrance for daily wear. It is more appropriate for the sporadic occasion or the intermittent wear when one is in the mood for something quite easily distinguishable from the rest; again, sometimes it is good to fit in. The sweet myrrh makes this EdT distinguishable, for it truly is a sticky and pungent antiseptic note. YSL’s take on an oud note is one that plays on the heaviness of scent and character. It remains totally level as the mineral character of citrus peel changes the olfactic perception of oud wood and myrrh with something initially wet and fresh, only preparing you for the marvelous drydown that is smokier and dryer, that lingers like a treat. Alternatives: Colonia Intensa Oud by Acqua di Parma (smack-bang rose & oud combo); Terre D’Hermès by Hermès (mineral character and citrus opening); Opium by YSL; and Wonderwood by Comme Des Garçons (wood tenfold). Accessible and user friendly exotica. This entry was posted in Yves Saint Laurent and tagged Fragrance, fragrance review, M7, M7 Oud Absolu, Oud, Oud absolu, YSL, Yves Saint Laurent. Bookmark the permalink.